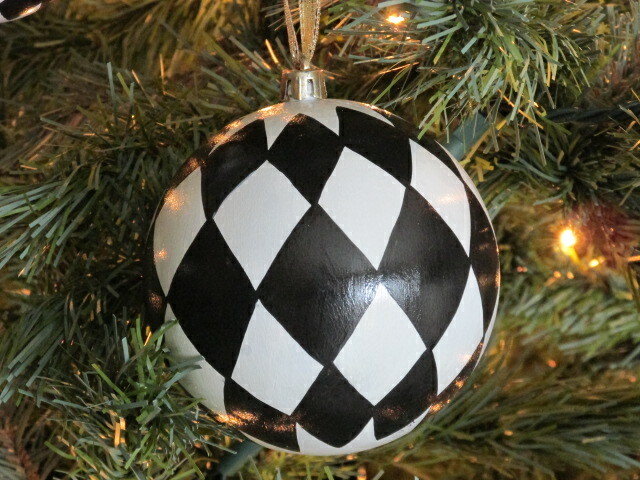 I have painted some ornaments and have a couple extras and am putting them on Etsy. 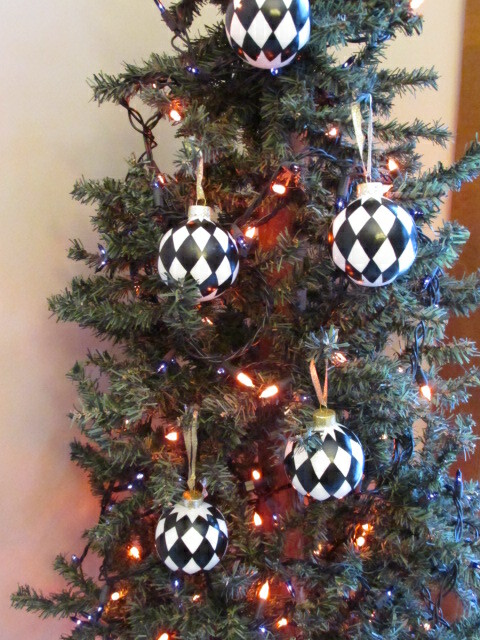 My sister-in-law has her home decorated with a Harlequin pattern and she had been looking for Christmas bulbs for her tree. She was not having any luck and I told her that I would give it a whirl and painted some for her. 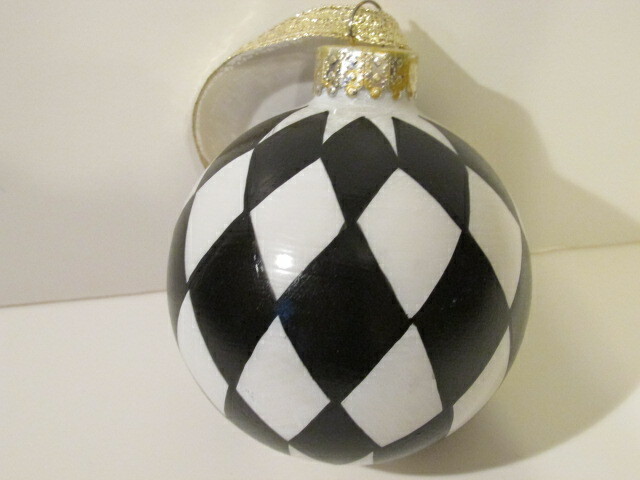 The first two pictures are of the glass ornaments I painted. They are 2 1/2 inch round. I have since bought a larger size (4 inch round) and also got shatterproof bulbs (after an incident here, that seemed like a great idea!). Check them out in our Etsy store. I have them listed as a custom order so you can request as many as you would like. 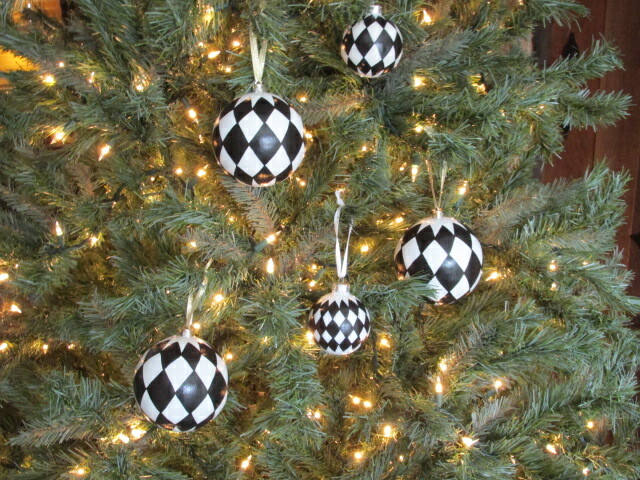 I do have a few of the glass 2 1/2 inch round bulbs done and will do a separate listing for both sizes.